U-Stor Mor, Inc. Storage has been providing quality storage services, since 1999 when we first opened our doors in Pearland. We have continued to grow along with Pearland by adding more boat unit sizes and climate control storage in three different phases. We are independently owned. 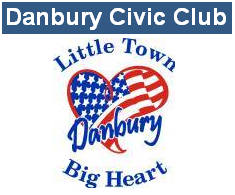 We purchased U-Stor Mor, Inc. Danbury in 2008 from local owners. We added climate control and more non-climate control units in two different phases immediately to help accommodate the increasing needs of the community. We appreciate our tenants giving us the opportunity to do business with them! Texas Self-Storage Association (TSSA) is the largest state self-storage organization in the country and have been providing a wide range of benefits to self-storage owners and operators in Texas for more than 25 years. TSSA was founded in 1986 as the Texas Mini Storage Association to provide opportunities for all self-storage owners and operators to learn, share and improve both their own businesses and the self-storage industry as a whole. TSSA continues that mission today with more than 3,300 member facilities. 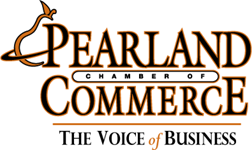 The Pearland Chamber of Commerce is a not-for-profit organization and is owned and operated by local business leaders who work to promote business growth in the Pearland area. Keep Pearland Beautiful is a non-profit environmental organization affiliated with Keep Texas Beautiful, Inc. and Keep America Beautiful, Inc.
Help Keep Pearland Beautiful recognize businesses that beautify our community. Each month Keep Pearland Beautiful, in cooperation with the Pearland Area Chamber of Commerce and four local sponsors, presents a Business Beautification Award. If you would like to nominate a business for this award, please call 281-652-1659. The Keep Pearland Beautiful office and resource center is located at 3523 Liberty Dr. in the Pearland Community Center. Our offices previously housed the Brazoria County Sub Tax station and our office hours are Monday to Friday from 8am to 5pm. Pearland & Danbury, TX | 281.648.1097 Design by R.I.T.S.